It might not look like it, but there are actually three cars (we aren't counting the vehicle the picture was taken from) in this picture. Behold the optical illusion of the disappearing Russian mud car. 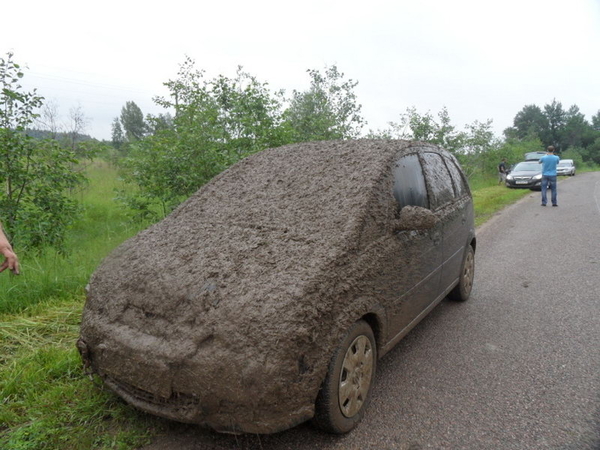 The mud may do a good job disguising this Opel Meriva Russian vehicle of undetermined make and model, but once you pick up the outline it's hard to miss. Leave it to Russia to create a magic eye using only a field, a car and a whole lot of mud.